Australia’s contribution to the world’s most influential collection of architecture and contemporary art has been revealed in Italy today at the 2018 Venice Architecture Biennale. Over 200 leading names in architecture and design gathered at the official opening of the Australian Pavilion to take in a tour of vast greenery and light before it opens to the public this Sunday 26 May. Presented by the Australian Institute of Architects, this year’s exhibition, Repair, by Melbourne architects Baracco+Wright (Louise Wright and Mauro Baracco) and collaborating artist Linda Tegg will make a powerful sociological statement to a global audience. 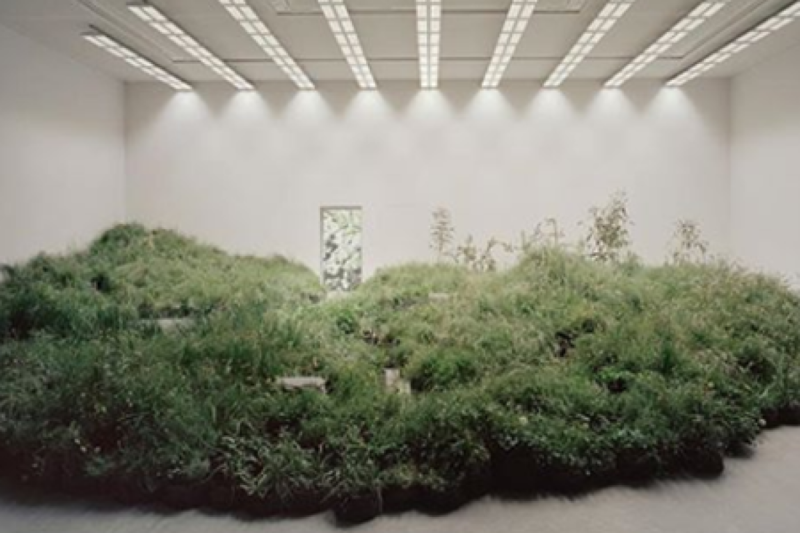 On entering the Pavilion, visitors will find over 10,000 native Australian grassland plants arranged inside and outside of the Pavilion’s granite structure. This field of vegetation, titled Grasslands, will allow visitors to enter a physical dialogue between architecture and the endangered plant community – with just one per cent of these threatened species left in their native Australian environment. The Pavilion will focus on architecture that integrates built and natural systems to effect repair of the environment, and in so doing, mend or improve other societal, economic and cultural conditions. On their bid to demonstrate what is at stake when we occupy land, Mauro Baracco said: “What was particularly important in conceiving of and executing this project, was the notion of taking care and taking one’s time,” Baracco explains. This ambitious feat features a further two components including Skylight – a custom designed lighting installation that simulates the sun’s 24-hour energy cycle and sustains the plants inside the Pavilion – which is based on Australian time and sun patterns. Skylight is complemented by Ground – a video series projected on 5 x 8-metre screens inside the Pavilion. It will showcase 15 architectural projects selected by the Australian Pavilion’s creative team that unpack diverse iterations of repair including The Globe (m3architecture with Brian Hooper Architect, Brisbane), the transformation of a historic building to strengthen and add to the urban form of a rural town in Queensland and Featherston House (Robin Boyd, Melbourne), a seminal Australian work that distills an approach and awareness of the ground plane further demonstrating the country’s collective consciousness of the issue. Seventy-one countries will feature in the 2018 event with more than 600,000 visitors expected over the next six months. This will be the seventh presented by the Australian Institute of Architects at the Architecture Biennale and only the second exhibition to feature in the Denton Corker Marshall designed Pavilion which was opened by Cate Blanchett in 2015. The building is the only Pavilion built in the 20th Century in the Giardini. It replaced Philip Cox’s temporary structure that Australia had been using since 1988. The Venice Architecture Biennale runs from May 26 to November 25.